Utility for getting your basic Halo 3 stats. Is there a better alternative to H3NDO? Is H3NDO really the best app in Gaming Tools and Utilities category? Will H3NDO work good on macOS 10.13.4? 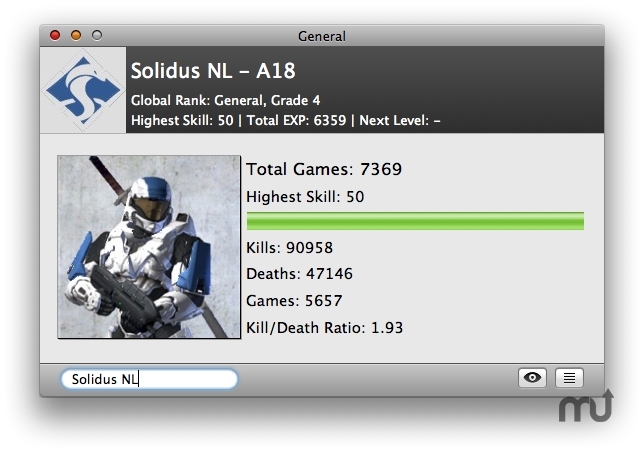 H3NDO which stands for Halo 3 Networked Database Oracle, is a utility for getting your basic Halo 3 stats. Simply type a gamertag in the text field and hit enter. This software is in early stages of development.Please note that currently you can only get your ranked stats, not your social ones. H3NDO needs a review. Be the first to review this app and get the discussion started! H3NDO needs a rating. Be the first to rate this app and get the discussion started!